MOODY BLUES "long distance voyager"
Voyager - I Am The reVolution...very good prog band from Perth, Australia! never heard of them SteveO???? 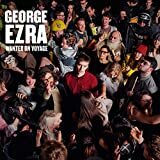 GEORGE EZRA "wanted on voyage"
one of the best albums o the last two years IMO. I'm not a fan of that GH album but I own it. FAITH NO MORE - The Real Thing....very good album! 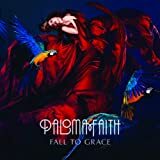 PALOMA FAITH "fall to grace"